Yesterday was the vernal equinox and the Universe sent me a message. It’s coming on Spring here in the northern hemisphere and yesterday was the day of equal parts light and dark. And the Universe decided that I needed this message really driven home. So, my first ever filling. And my first time with freezing. Sigh. The end of a perfect streak. I have long loved the fact that I have made it into my 40s without a cavity. I completely realize that this is just a fluke of genetics and not anything to do with my superior brushing and flossing technique (NOT). But it was that thing I could always cite whenever I had to answer “what’s the one thing no one knows about you” or some such nonsense of an ice-breaker exercise. But then, an unexpected light in the dark. No freezing, no filling. Just a little scraping and a sealant and I was all done. And, a bonus of fixing my slightly jagged-edge bottom front teeth to smooth perfection. Nicely balanced, Universe! Not so fast, said the Universe. You may technically be cavity free but the day is just starting! Stopped for a coffee on the way to work and coming out of the coffee shop I spectacularly wiped out on the grassy boulevard that separated me from my car. Well, I should call it the giant muddy boulevard although I think most of the mud ended up all up my pants and back. Not content to drive home it’s point, the Universe had to choose right in front of the coffee shop for my muddy demise. You know, where EVERYONE could watch me do a slow slide into the swamp of no return. And then the balance turned when a very nice stranger stopped to see if I was okay. And told me a joke that made me laugh. I don’t know who that guy was but I’m thanking the Universe for sending him my way. After a mad dash home and a change of clothes all the way down to my muddy underwear I raced into work and made it just in time for my first meeting. 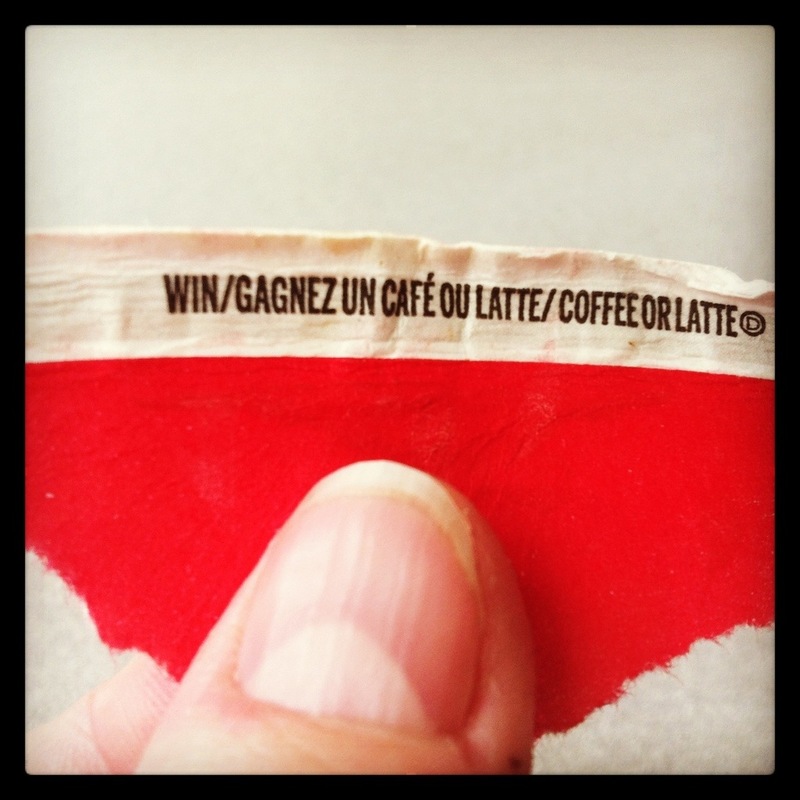 And, I won a free coffee. And so the day went. It poured rain and then was gloriously sunny. I am swamped with work to the point of chucking the whole thing in when I am unexpectedly headhunted for another job, making me realize how much I love my work and that (apparently) someone noticed. Physio is increasing to twice a week but I somehow managed not to add injury to my knee with my mudslide. LIfe in balance. The good with the bad. The things that make me so frustrated and the things that make me shake my head and laugh. The hard work and the random rewards. The anger and the gratitude. I get it, Universe. And I will strive to remember it. Even when I’m lying in the mud. Now, off to find the other members of Sticky Grooves. This entry was posted in gratitude, perfectionism, recovery and tagged equinox, universe by WendyA. Bookmark the permalink. Well played, Universe, well played. I will be a member of the Sticky Grooves! I am also cavity-free (for now) but never thought to use that as my “fun fact” at ice breaker events. You’re in the band!!! I like using that “fun fact” cause it’s about as personal as I’d like to get with a roomful of strangers!